The latest firmware update for Sony's PlayStation Portable releases this month, making online shopping for downloadable content considerably easier for gamers on the go. Sony has introduced an Information Board very much like the one on the PlayStation 3 which reveals news and information on a scrolling ticker bar on the upper right-hand corner of the screen, when you are connected to a Wi-Fi network. The update will also allow you to window-shop in the PlayStation Store without a PSN account. 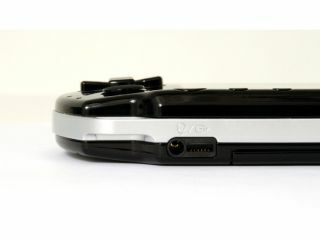 Gamers will also be able to grab downloadable games, add-ons and demos via the PSP's cross media bar (XMB). While playing a game, simply hit the Triangle button to search for any available downloadable additions. PSP firmware update 5.5 also improves the handheld's memory management system and web-surfing abilities. As well as being able to "create and access sub-folders on your Memory Stick PRO Duo for music, videos and photos" Sony has also, significantly reduced "the available space required to download a file from PlayStation Store to your Memory Stick." Sony recently announced a PSP Go!View offer in an attempt to boost PSP sales as we head into the glorious shiny summer months.